All-in-one suit with attached character headpiece. 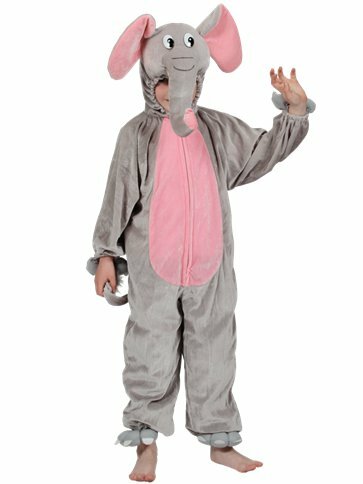 Go Wild and party like an animal with this plush Elephant costume from our animals and insects collection. This onesie style jumpsuit comes complete with an attached tail, shoe-covers and cute character headpiece along with a zip fastener to front for easy wear. A perfect choice for dressing up as your favourite book character on World Book Day!